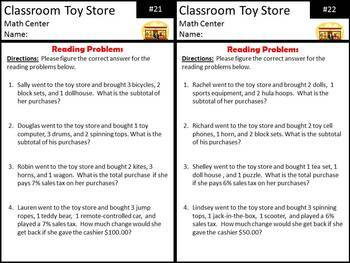 This Classroom Store includes everything you need to create your own classroom math toy store center! 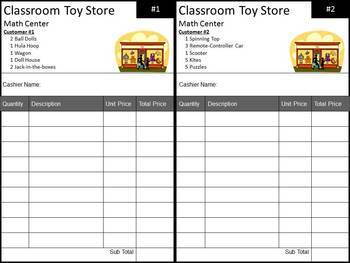 This can be used for reinforcement of several different math skills; such as addition, multiplication, percentages, etc. All you need to do is print, cut, and paste onto a tri-fold board and design this wonderful math resource as shown. 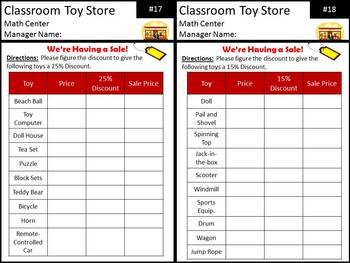 Use this to supplement your lessons when figuring sales tax, discounts, and more. 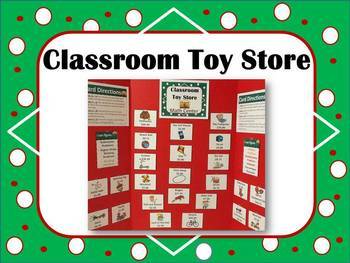 This resource can be used at any time but, is GREAT to use for the upcoming holiday season. Perfect for early finishers! This file has work cards for the students to progress to higher-level thinking skills that range from picking toys and figuring subtotals to multi-step reading problems.